The inspirational stories of our competition entrants provide an amazing insight into their dedication to become the very best musicians. Here we provide details of two young musicians and their musical journey. This is the third time Cassandra (photo above) has competed in Wales. She has attended the Catrin Finch Academy twice and is now an honorary Welsh harpist! 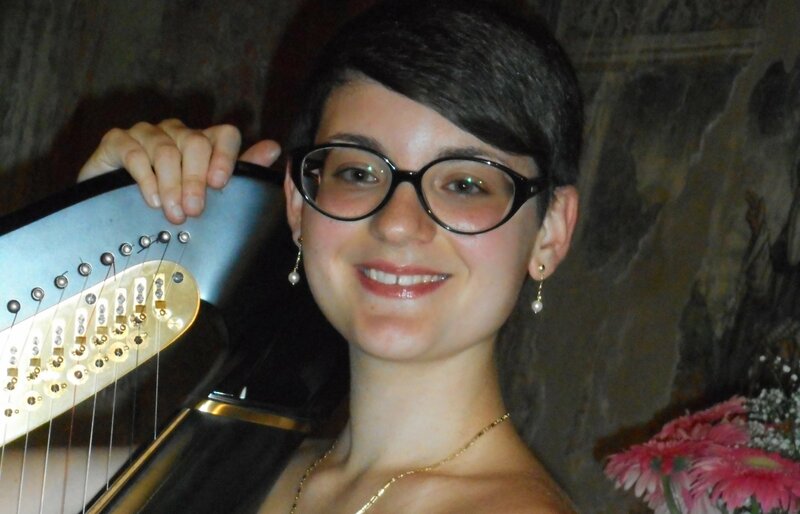 Cassandra first started harp lessons at the age of 8 and since 2013 she has studied at the Milan Conservatory, where she decided to also learn the harpsichord. She has a love for the Baroque repertoire, and the instrument allows her to better understand that period and the music composed at the time. She feels that this will help her better interpret Baroque pieces while playing the harp. Cassandra says that her most exciting harp experience so far was playing Shostakovic’s 5th Symphony with the Milan Conservatory Orchestra and “Puer Natus” with a wind orchestra last Christmas. In 2016 she also had a series of charity recitals in Amatrice (where there was an earthquake the same year) She especially cherishes a recital at an old people’s home where she felt how powerful music can be. Veronika started to play harp at the age of 7. After graduating from Kharkov High Music School in the class of Larisa Klevtzova, she enrolled in Gnessins Music Academy in Moscow in the class of professor Milda Agazarian. Veronika returns to compete in the Chief Musician competition in which she came third four years ago, a disturbing time when troubles in her home country at that time caused many concerns. We wish Veronika every success and a happy return visit to the festival.